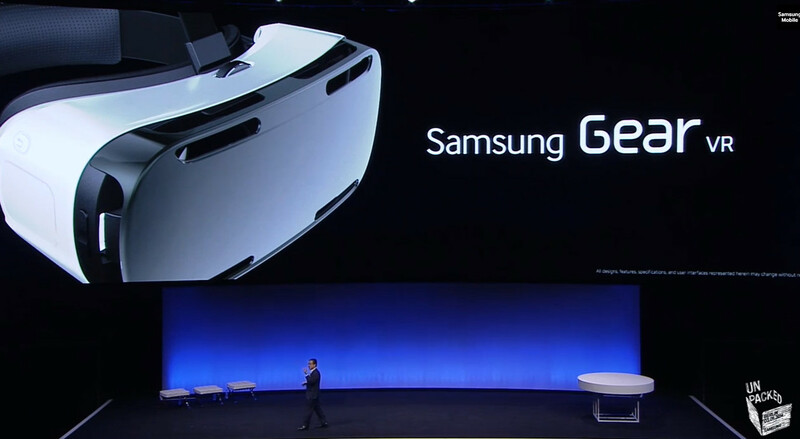 Samsung, during it’s Galaxy Note 4 keynote, has announced the Gear VR, a virtual headset that has been leaked a few times over the past month. 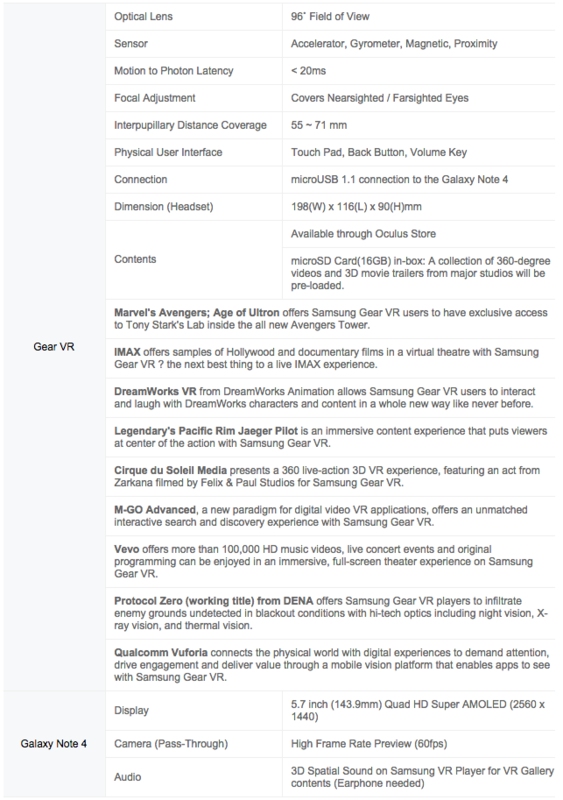 The Gear VR will connect exclusively to the Galaxy Note 4 (not compatible with any other device), allowing users to immerse themselves in games, concert footage, movie scenes, and much more. Samsung partnered with Oculus, the makers of Rift, to create the overall hardware and experience users will have with the Gear VR. As for operation, once you stick your Note 4 in the headset, a specialized UI will appear, showing the user options for what they would like to do, such as play games or open apps. Somewhat unsurprisingly, Samsung did not mention too many apps or games that are compatible, but it was announced that a specialized rendition of Temple Run would be available upon release. Our guess is that most content downloadable for the Gear VR will be available through either Google Play, Samsung Apps, or the Oculus Store. Specs and full press release below. ​Berlin, Germany – September 3, 2014 – Samsung Electronics Co., Ltd. today introduced the next generation in wearable technology, the Samsung Gear VR Innovator Edition, enabling users to fully immerse themselves in a cinematic virtual reality environment. Powered by Oculus technology, the Samsung Gear VR delivers a completely new way to experience and consume mobile content. It continues Samsung’s leadership in the wearable category through innovative technology and compelling design to expand the definition of mobile life. ​The result of a deep and integrated partnership with Oculus, a Facebook company and a leader in virtual reality technology, the Samsung Gear VR creates an immersive mobile virtual reality experience that the industry has never seen before. ​The Samsung Gear VR delivers an unrivaled viewing experience with the 5.7 inch Quad HD Super AMOLED display of the Galaxy Note 4 providing stunning and engaging visuals at a mobile-leading resolution. With the Gear VR Innovator Edition, users can sit in the best seat of a theater, can be on-stage of a performance with full 360 3D video, and can enjoy gaming like it’s never been seen before – inside the stunning worlds where imagination becomes reality. Samsung’s industry leading Super AMOLED display technology and cutting-edge Oculus-driven technologies fuse to create an experience that surprises and delights – all on a mobile device. ​Built with soft, flexible cushioning and lightweight materials, the Samsung Gear VR is comfortable to wear. It is completely wireless, so users can be fully engaged in virtual worlds without being tethered to a computer. With a robust selection of optimized virtual reality content from a wide range of top-tier creators, users will be able to enjoy a wide range of film, gaming, 360 degree video, and educational/experiential content.